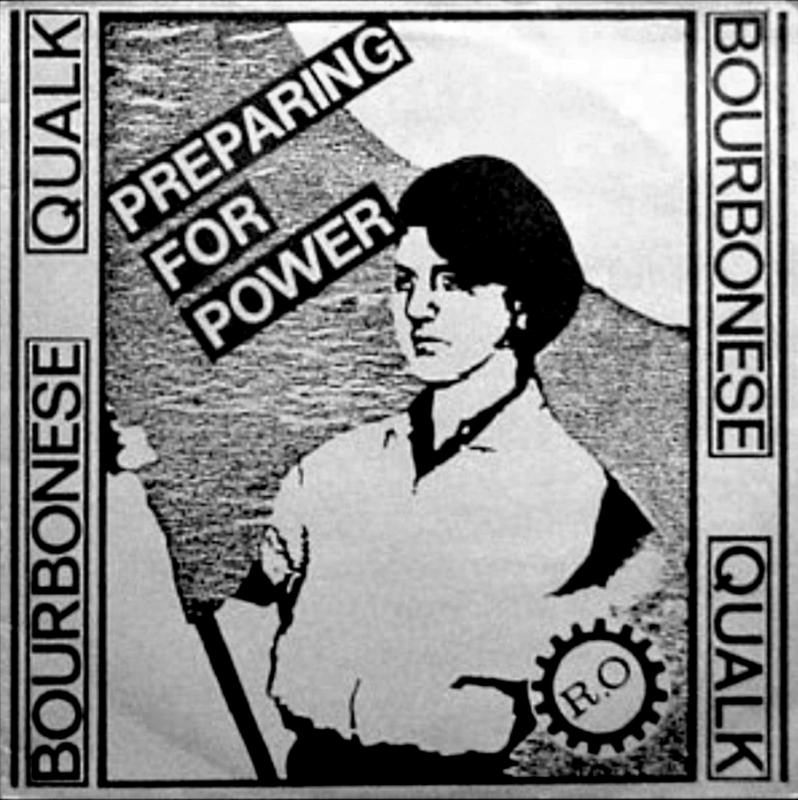 ‘Preparing for Power’ is often marked as being Bourbonese Qualk’s darkest LP. the album was written and recorded at a time of political upheaval in the uk. the background to this album was the increasing but doomed resistance to the right wing state during the 1980s, manifested by the miners and printers strike and anti-state riots in the capitol. the title is a cynical reference to a traditional left political campaign of the time. the recordings took part in the groups HQ – the Ambulance Station- which was increasingly becoming the target of police attention, factional disputes and random violence. the building was abandoned towards the end of the year 1986. the LP released on the groups own ‘Recloose Organisation’ label is now unavailable, tracks were later released on the “Bo-Qu” retrospective compilation. Simon Crab: Electronics, Tapes, Guitar, Voice & Other Instruments. Julian gilbert: Voice & Other Instruments. ‘Sounds’ Newspaper UK. March 1986. I’ve just discovered your website thanks to the Eric Duboys’s book “Industrial Musics”. BQ was a band I used to listen when I was young. Unfortunatly, I’ve just kept one cassette but my player doesn’t work anymore. In the book, it was written that I could download your LPs on this website but it seems it’s not possible anymore. Could you help please and tell me where I could download ? I’d like to download these albums please. 🙂 Bourbonese Qualk, yeah!